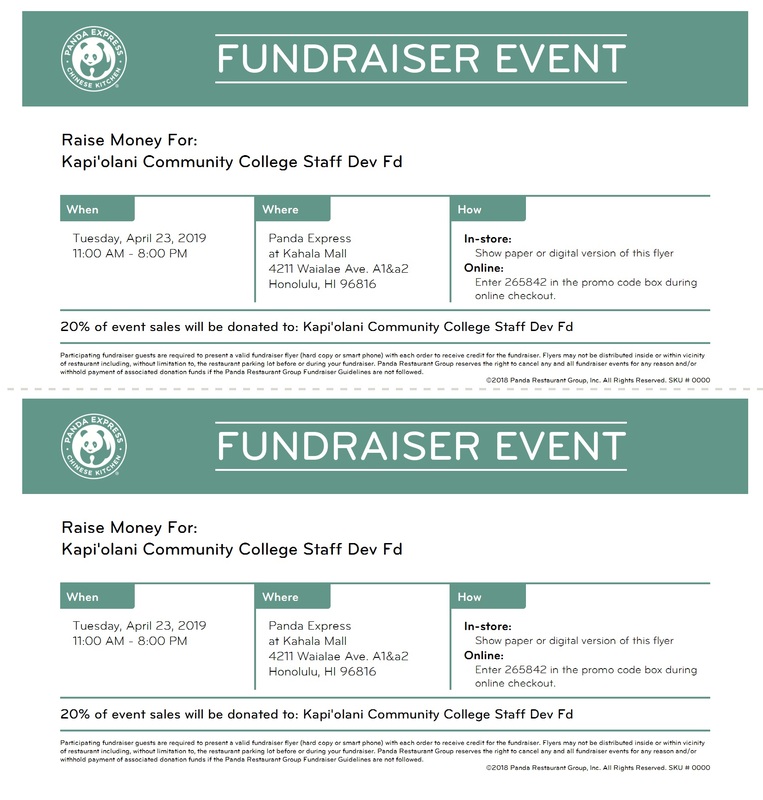 Raising money for Kapi‘olani CC Staff Development Fund. Tuesday, April 23, 2019 from 11am – 8pm. Print out the flyer and present at purchase. Online orders accepted as well! This ‘Ohana website does routine backups every morning at around 7am. While it shouldn’t be impacting service, we have known for quite some time that the site goes offline during this process. Most people never noticed because this whole thing completes before the start of the work day. But lately, this is taking a little longer. ‘Ohana should be back available again around 8:30am each morning. We will be adjusting resources to see if we can address this issue. Sorry for the inconvenience.